BuzzFeed and Verizon Media are slashing jobs. Like mature counterparts in a changing advertising world, upstart news outfits may need to merge to survive. But at least older players like the New York Times can sell their content. Some latecomers will have a hard time doing that. 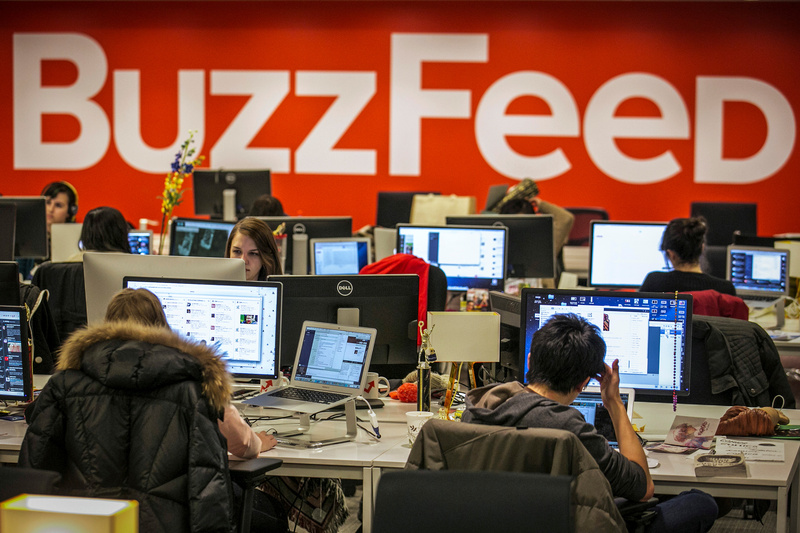 BuzzFeed employees work at the company's headquarters in New York January 9, 2014. BuzzFeed is planning to cut 15 percent of its workforce or about 250 jobs, the Wall Street Journal reported on Jan. 23. Verizon Media, which owns AOL and Yahoo, is slicing 7 percent of jobs or about 800 positions, CNBC said on Jan. 23.